First German editon, first printing, ('Deutsche Erstausgabe' stated on backcover). 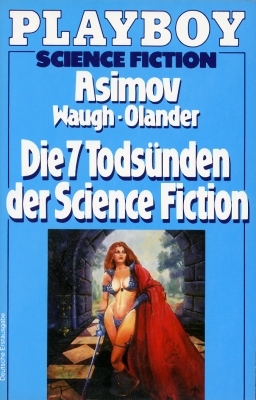 Copyright © 1980 by Isaac Asimov, Charles G. Waugh, Martin H. Greenberg. Cover and title page have stated incorrectly Joseph D. Olander as editor and not Martin H. Greenberg. Month of publication from Science Fiction Times, August 1984. Table of contents on pages 5 and 6. Other price: Austria (ÖS 65).